Great things come in small packages. There really is no greater proof of this than the funky range of Bamix mixers. Tiny, yet powerful, Bamix is perfect to perform any job you don’t feel like doing - in a whiz! From chopping vegetables to finely powdering hard cheese, making the perfect milkshake, pureeing fruit…The sky’s the limit. It’s the perfect assistant in the kitchen - and it doesn’t talk back! 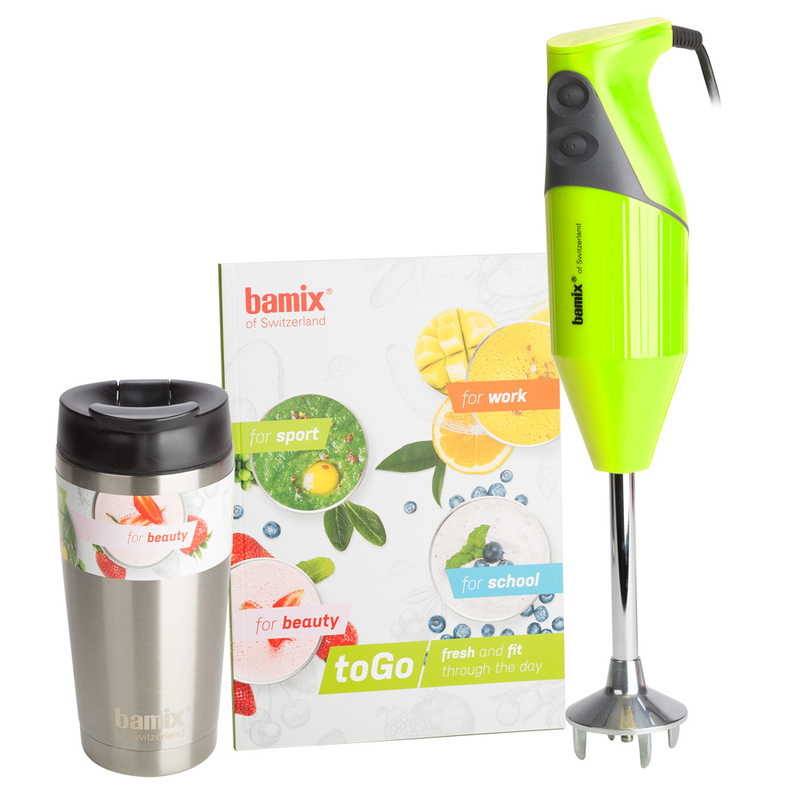 Created with brilliant European innovation, the Bamix To Go mixer is the ultimate hero you need in your kitchen. It’s the perfect way to start fresh and stay fit throughout the day. Whether it be for sport, for work, for school or for beauty, the Bamix To Go has you covered. Simple to use, two-button operation. Comfortable for right-handed or left-handed use. Easy to clean – just rinse the head under the tap. Comes with a thermo jug for hot or cold drinks, and a cookbook. Includes a multi-purpose blade, mincing blade, beating blade and a whisking blade attachment. Presented in a Bamix box. Bamix To Go Length: 35cm.